There are a few Scottish artists I absolutely love (Biffy Clyro, Marmaduke Duke) and CHVRCHES is definitely one of them. When I first heard their debut single, “Lies”, I was immediately hooked. The catchy synth-sounds stuck, as did the high-pitched voice of Lauren Mayberry. The combination of a very soft and feminine voice with raging synths resulted in their first album, “The Bones Of What You Believe”. Released in September 2013, the album received very positive criticism and lead to an international and loyal fanbase. This fanbase significantly increased when CHVRCHES featured on two popular film soundtracks, in the shape of “Bela Lugosi’s Dead” on “Vampire Academy” and “Dead Air” on “The Hunger Games – Mockingjay: Part I”. Although still slightly underground, CHVRCHES are well on their way to breaking through. Their latest album, “Every Other Eye”, is a very big step into that direction. The band has taken the saying “never change a winning team” quite literally, because stylistically, nothing much has changed in between albums. The use of instruments is still the same, as is the successfully proven formula of Mayberry’s voice and electronics. What worked for “The Bones Of What You Believe” still works for “Every Other Eye” – and somehow, this lack of change is not a problem. Not at all. From the pumping opening song “Never Ending Circles” to the energetic and poppy “Empty Threat”, Every Open Eye is a complete album, flawlessly executed and thoughtfully presented. Although Mayberry’s voice is, arguably, one of the most recognizable and distinctive features of CHVRCHES’ sound, there is one song on the album that does not feature this key element. “High Enough To Carry You Over” features vocals of Martin Doherty, which results in a completely different feel. To me, what makes CHVRCHES the band I know and love, is Mayberry’s voice, but with the very male voice of Doherty, this feel is completely different, which makes for an interesting song and moment. Perhaps the most striking element of Every Open Eye is the fact that the album sounds much more confident than its predecessors. With The Bones Of What You Believe, CHVRCHES presented themselves as a band that moves in the same circuit as electronics-based bands like M83, Passion Pit and Years & Years. However, with Every Open Eye, the band defeats their rivals with one single, thoughtful blow. Their latest album is clean and clever, of incredibly high quality: the text-book example of a successful electronic pop album. Apart from her musical talents, Mayberry is a skilled writer with a sharp pen. In The Guardian, she published an article about online misogyny, presenting examples of her own experiences as a female band member. “What I do not accept, however, is that it is all right for people to make comments ranging from “a bit sexist but generally harmless” to openly sexually aggressive,” Mayberry Writes. As the front woman of CHVRCHES, Mayberry has been the target of these misogynistic comments and she explains how it is unacceptable and how women are spoken to like this every day, not just in the online spheres. With her article, she tries to raise awareness, both on and offline. 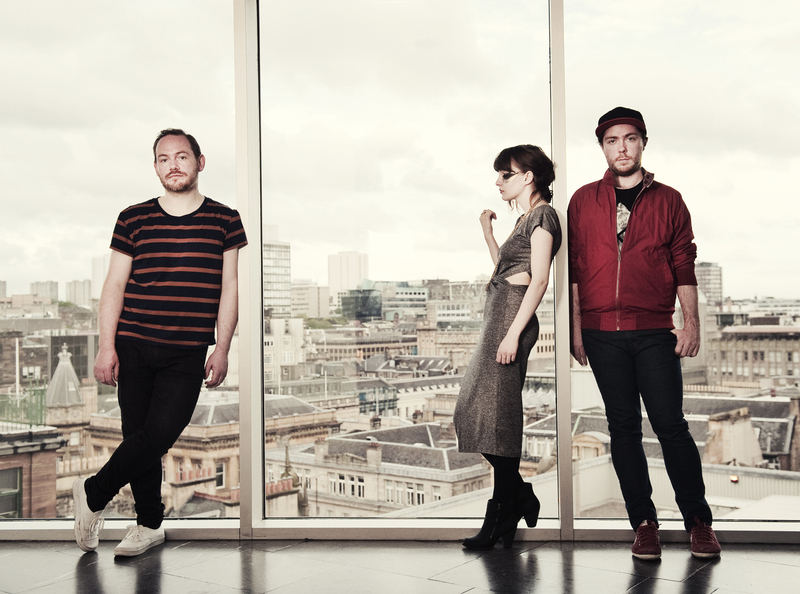 On Friday November 13, 2015, CHVRCHES is performing in de Melkweg in Amsterdam, The Netherlands. Tickets are no longer available, but on the day after the concert, you will find a review on Almost Famous Writer!